This controller used for off-grid solar power systems (independent system), especially suitable for small off-grid solar power control system, automatically adjust the charging and discharging.JND-X series controller’s battery charging process is optimized, can prolong the life of battery, improve system performance.Its comprehensive self-test function and electronic protection function can be avoided due to installation errors and damage of system failure caused the controller damaged. 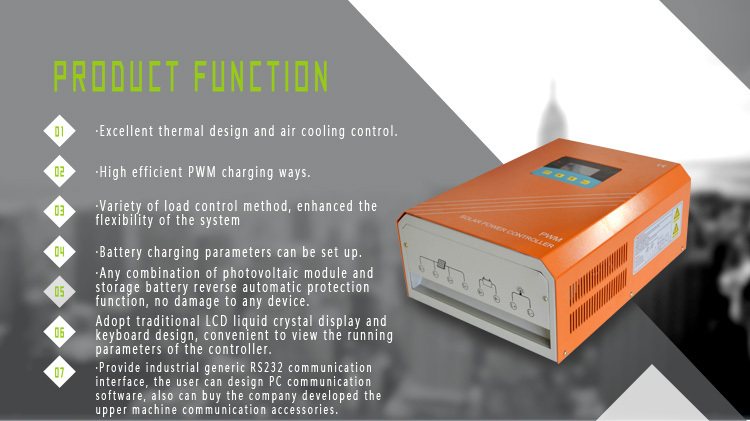 Excellent thermal design and air cooling control. 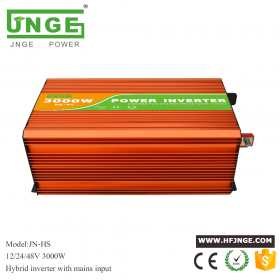 High efficient PWM charging ways. Battery charging parameters can be set up. 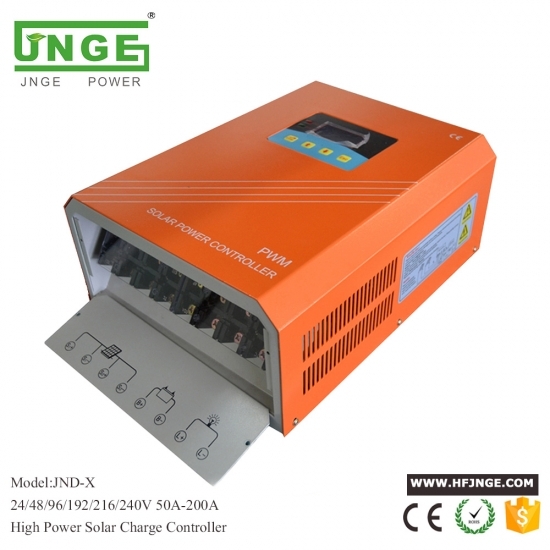 Any combination of photovoltaic module and storage battery reverse automatic protection function, no damage to any device. Adopt traditional LCD display and keyboard design, convenient to view the running parameters of the controller. Provide industrial generic RS232 communication interface, the user can design PC communication software, also can buy the company developed the upper machine communication accessories. 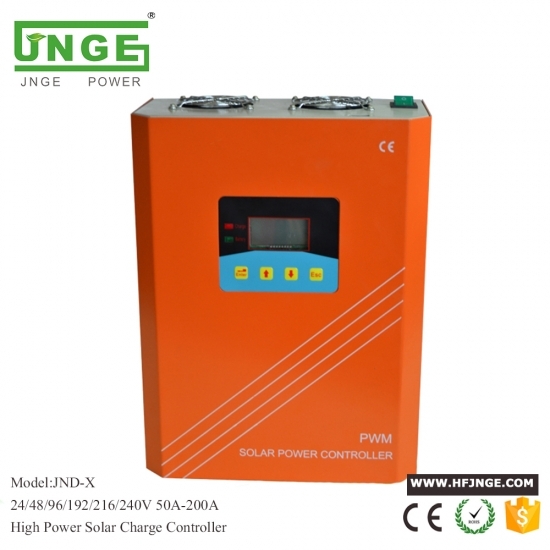 Note: The battery voltage parameters can be set up on behalf of this keypad and LCD Settings, all parameters can be set through the communications software. 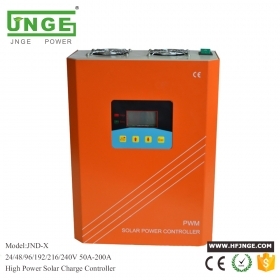 This is a solar charge controller 150A, that have automatic max. 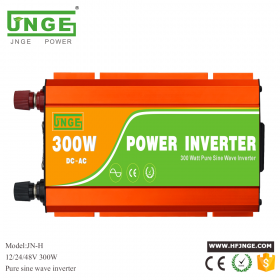 power point tracking function with high efficiency that almost 30%~60% higher than traditional charge controller. 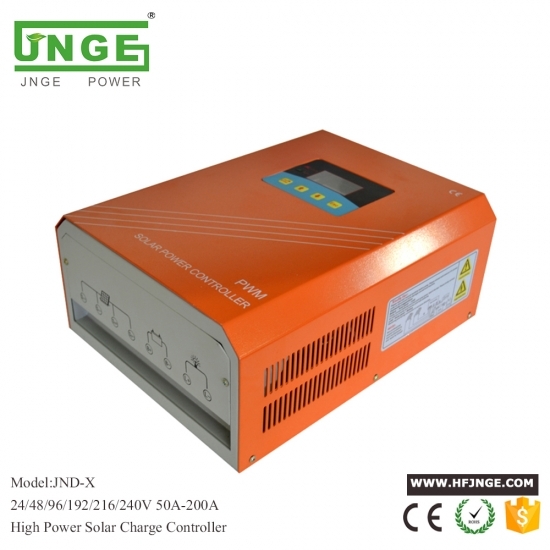 It also features with wide rang of PV input ,charge for all kinds of battery,automatic discharge control,RS 232 LAN communication function and so on. 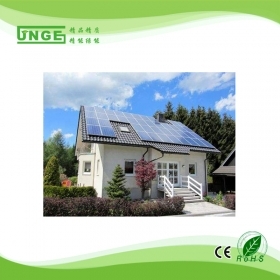 It is very high-end product for solar market. 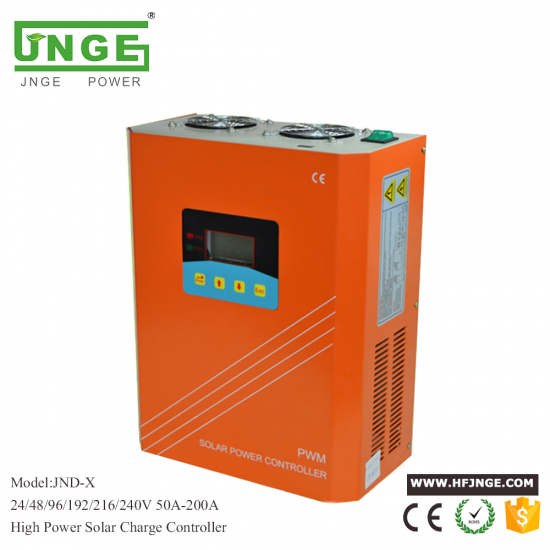 This solar controller applies to the solar net division system (independent system). 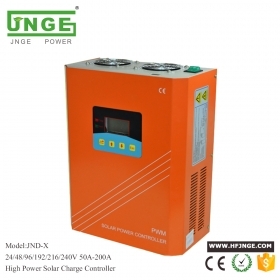 It can control the electrical charge and discharge process automatically. 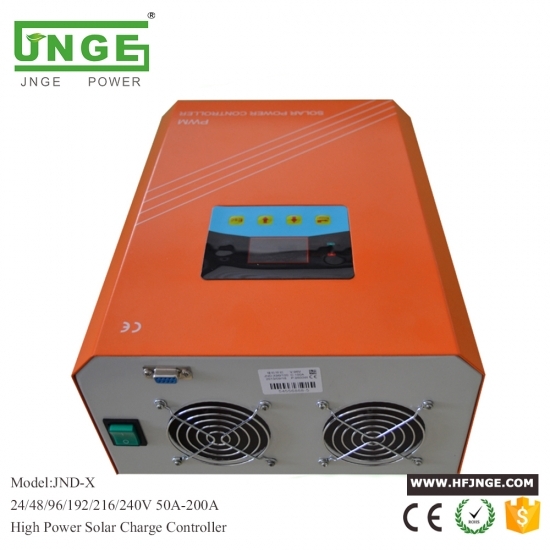 The discharge process of the storage battery has been optimized thus it can increase the lifetime of the storage battery and improve the function of the system. The thorough electronic protection function can keep the controller away from damage when the users install it error or the system is in bug. 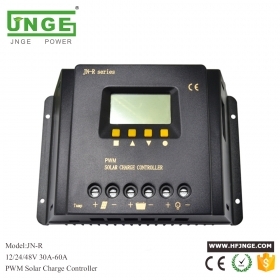 Solar Controller transform the solar energy into electricity power through the solar panel and stores,is widely used in mobile communication base stations,microwave stations,but also provide power supply for the pastoral areas,border,island units,and mobile occasions and so on.